Autism developmental disorder (ASD) is a life–long condition that affects how a person communicates socially. It usually begins early in life and the folks suffering from it face problems while interacting with other people around. This condition brings a range of symptoms with itself like unable to make eye-contact, issues while responding to someone, missing the sense of social cues and expressions, constant repetitive speeches, prefers to remain secluded, resists physical normal day-to-day touches, emotion-less façade, or awkward behavior in social gatherings. They can be over-sensitive to a certain type of color, sound or pattern labeled under heightened sensory activity. They just see, hear and feel differently. About 1 in 40 children in the United States are living with autism as per the National Survey. 1 in 100 people in China has an autism spectrum condition. Each and every child has his own pace of growth. Although the symptoms start to appear by the age of 2-3 but in many cases, it could be earlier in lives. Researchers from around the World believe that a combination of genetic, cognitive, non-genetic and environmental changes might be the cause behind Autism. It has been presumed that the mutations in genes and structural variations of chromosomes and their potential of being heritable but not inherited makes it difficult to trace and diagnose, which is purely based on behavior. Boys are likely to develop autism four times more than the girls making it a male-condition. There is no cure, no treatment as such present. But EARLY INTERVENTION can prove to be beneficial to help kids learn how to grow with autism and function well. But recent breakthroughs have been cooperating with the needs of those affected by it. A recent study published in the journal Nature of CPEB4-a molecule which regulates the expression of a protein which causes the defect in about 200 genes which again are the most susceptible to Autism. This study reveals the complex nature of the genetic system and shows the importance of linking environmental changes and brain development. Researchers from the University of South Australia in its recent Supporting Success program are trying to help children by involving them into Sports related activities. The trained coaches provided the much needed “first line of intervention” with the help of activities that involve social interaction and easy going activities in most simplified language. The still furthered research on Vaccine-Autism hypothesis looking out for the potential of Aluminum-adjuvants causing serious immunological disorders. It is important to understand the biological essence of Autism to facilitate the treatment therapies and for diagnosing it. But communication therapies, skill training, love and support can work wonders. The post Boys are more likely to have autism! 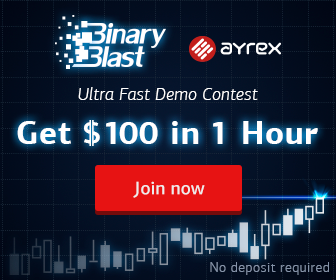 appeared first on autoforex Research.